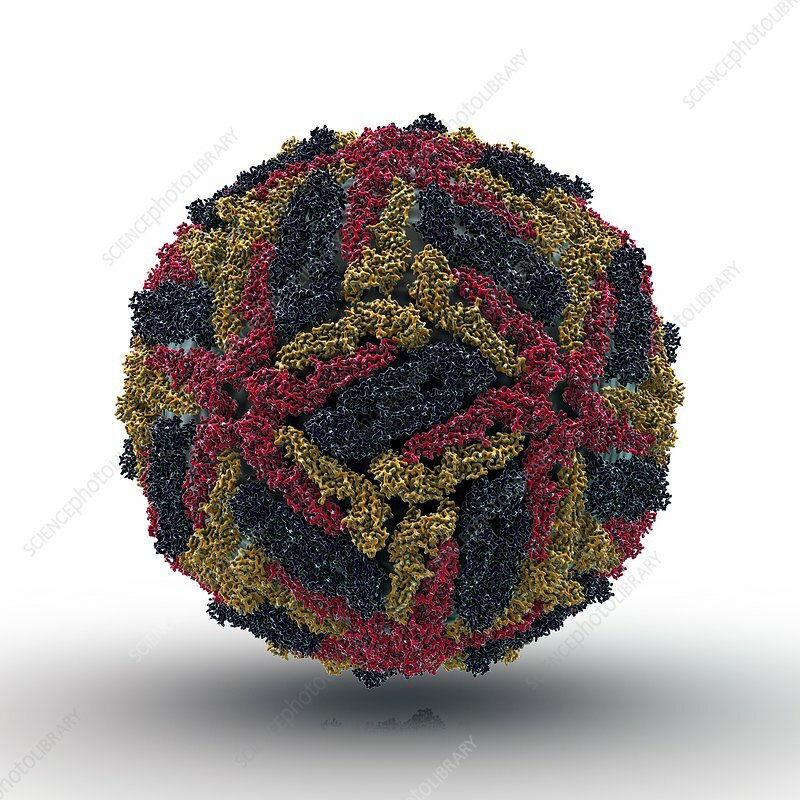 Dengue fever virus (DENV) particle, computer artwork. DENV particles (virions) are composed of an outer icosahedral protein coat (capsid) encasing RNA (ribonucleic acid), the genetic material of the virus. This is an arthropod-borne virus, meaning it is transmitted through mosquito or tick bites.